Most people are aware that probate should be avoided if at all possible. It is an expensive, time-consuming process that exposes your family’s private matters to public scrutiny via the judicial system. It sounds simple enough to just gift your property to your children while you are still alive, so it is not subject to probate upon your death, or to preserve the asset in the event of significant end-of-life medical expenses. This strategy may offer some potential benefits, but those benefits are far outweighed by the risks. And with other probate-avoidance tools available, such as living trusts, it makes sense to view the risks and benefits of transferring title to your property through a very critical lens. Property titled in the names of your heirs, or with your heirs as joint tenants, is not subject to probate upon your death. If you do not need nursing home care for the first 60 months after the transfer, but later do need such care, the property in question will not be considered for Medicaid eligibility purposes. If you are named on the property’s title at the time of your death, creditors cannot make a claim against the property to satisfy the debt. 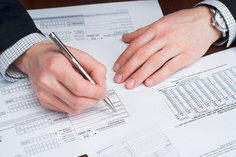 Your heirs may agree to pay a portion, or all, of the property’s expenses, including taxes, insurance and maintenance. It may jeopardize your ability to obtain nursing home care. If you need such care within 60 months of transferring the property, you can be penalized for the gift and may not be eligible for Medicaid for a period of months or years, or will have to find another source to cover the expenses. You lose sole control over your property. Once you are no longer the legal owner, you must get approval from your children in order to sell or refinance the property. If your child files for bankruptcy, or gets divorced, your child’s creditors or former spouse can obtain a legal ownership interest in the property. If you outlive your child, the property may be transferred to your child’s heirs. Potential negative tax consequences: If property is transferred to your child and is later sold, capital gains tax may be due, as your child will not be able to take advantage of the IRS’s primary residence exclusion. You may also lose property tax exemptions. Finally, when the child ultimately sells the property, he or she may pay a higher capital gains tax than if the property was inherited, since inherited property enjoys a stepped-up tax basis as of the date of death. There is no one-size-fits-all approach to estate planning. Transferring ownership of your property to your children while you are still alive may be appropriate for your situation. However, for most this strategy is not recommended due to the significant risks. If your goal is to avoid probate, maximize tax benefits and provide for the seamless transfer of your property upon your death, a living trust is likely a far better option.